Our innovative hybrid storage solutions combine superb lithium system performance with lead acid system. Once purchase is completed, all appliances will be dropped at your location and a date for installation will be agreed upon. Note that both Transportation and installation come at a cost to the consumer. Lithium battery and hybrid charge controller are one unit. A lead acid battery, the solar generator and different loads are simply connected to the hybrid systems using standard wire connectors. There is no need to configure any lithium battery parameters by the customer. HYBRID SYSTEMS STORE ENERGY IN LITHIUM AND LEAD ACID BATTERIES AND MANAGE THE STATE OF CHARGE OF BOTH THE LITHIUM AND THE LEAD ACID BATTERY IN AN INTELLIGENT WAY. 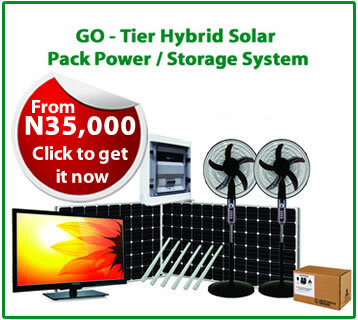 The Solar hybrid system is the central unit in the solar home system. It comes with integrated lithium (LiFePO4) batteries. The hybrid system contains a combined, fully featured charge controller for lithium and lead acid batteries that manages the state of charge of both batteries in an intelligent way. An excess energy output is only switched on, if excess power is available. This helps to run fans, chargers or other high power devices only if there is enough energy. It automatically keeps enough energy for devices that need to be available 24/7. All hybrid systems come with an integrated USB port. Already existing batteries should be used. The state of charge of the lead acid battery is controlled in an intelligent way and includes all relevant protection and performance features. The hybrid solar power/systems combine the advantages of both battery technologies. During the day the lead acid battery is charged with higher priority, resulting in long hours at full state of charge. Surplus energy is stored in the lithium battery, which is used for small cycles and operated in its perfect operation mode by taking advantage of its DOD >90% and its high cycle life. The lead acid battery is only used to power loads once the lithium battery is flat, offering additional power and high backup capacities, whilst staying in a high state of charge at most times. The lead acid battery is not strained by deep charging cycles, as the lithium battery is used for running daily cycles. During its long hours at full state of charge the lead acid battery is floated. Compared to pure lead acid systems both effects positively impact the lead acid battery lifetime. By preventing harmful sulphation the lifetime can be increased to more than 10 years. This lowers energy storage costs significantly and has a positive impact on the environment. The lithium battery offers enough charging cycles for more than 10 years of daily use.